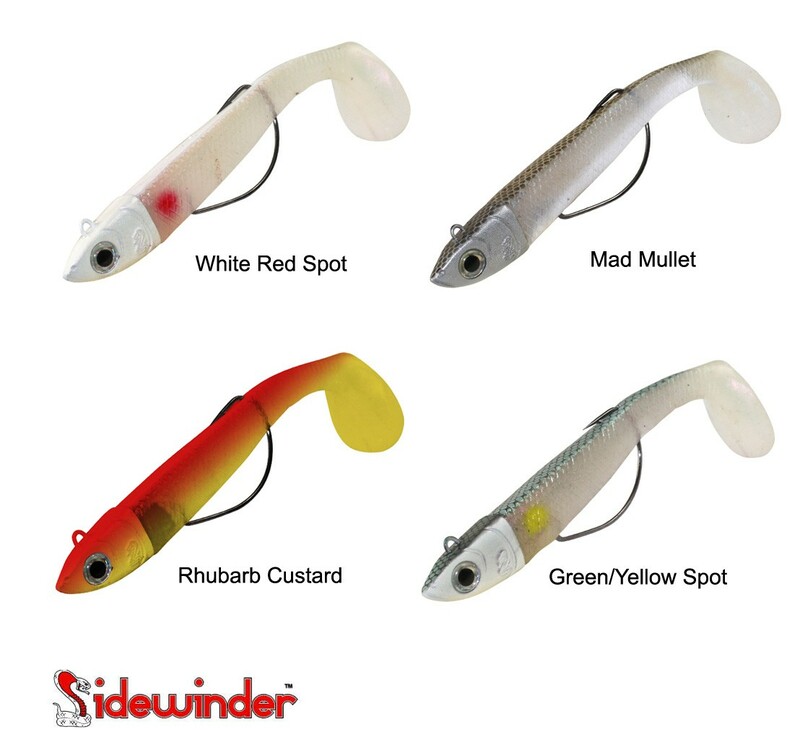 Our Sidewinder Weedless Minnows represent extensive testing and research by our commercial line anglers to find a workable Minnow design that really does avoid the snags, Plus the fish love em’ ! Packing - 2 Complete Weedless Minnows per Blister pack . • Salt Trap Tech (STT) - we have used actual salt in the manufacturing process so that they taste salty to fish. • Shimmer Skin pearlescent finish for all colours. • Inbuilt hook tube and back groove for enchanced hook ups and great Sidewinder action! • Best quality components and Mustad hooks throughout.